Our own in-house Timeless Chic range has been developed in response to our bride to be’s requirements. From our High Low collection that has a dipped hem at the back to our classic designs. There is something to suit every body shape out there. We are confident you will find the perfect vintage reproduction wedding dress. All of our Timeless Chic range are exclusive to Cutting Edge Brides so you won’t find them anywhere in other wedding boutiques. Based in the heart of Bexley, Cutting Edge Brides is a pretty wedding boutique with lots of charm. Our friendly consultants pride themselves in customer service excellence. No other customers will be present at your appointment and out time is dedicated to you only. Every appointment is one to one where we get to know the brides’ style and any special requirements she has. With a glass of bubbles in hand we’ll work out what you’d like to see. There is no limit to the dresses you can try on and no hard selling tactics. We are happy for you to take photographs and go away and have a think about the short wedding dresses you’ve tried on. Being expert’s means we are able to advise you on what will suit you. We are also in the position to suggest alterations that will allow you to have a dress that suits your personal style. Catering from many brides over the years, we have built up a vast knowledge of what other brides have had done or what will work for the type of wedding you are having. From adding coloured accessories to knowing what petticoats will give your 1950’s style skirt a full that you can dance the night away in. 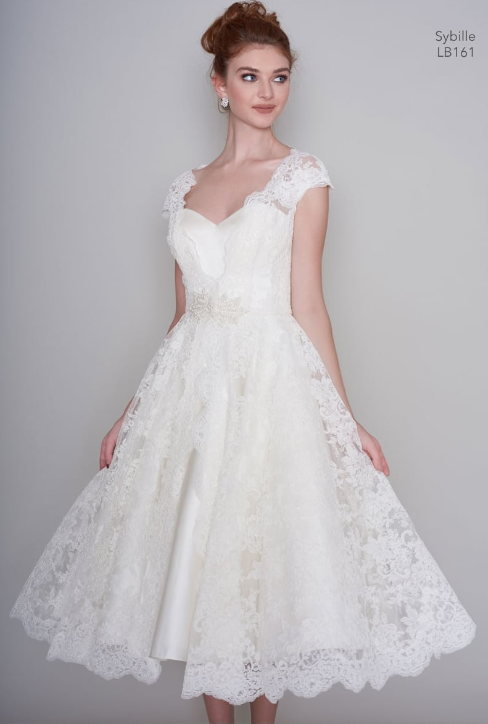 We have all different ideas to help you get the most out of your vintage style wedding dress. As brides seek more bespoke short wedding dresses we are best placed to help. Our dedicated seamstress can offer solutions to make your vintage style wedding dress exactly how you want it. 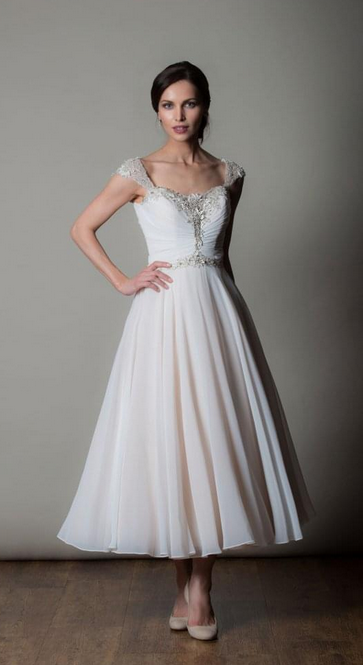 We can tailor our designer gowns to suit your personal taste. Adding sleeves or more lace to a dress are options as well as altering the length of the 1950s style wedding dress skirts. We will always be honest and open about what will work for your dress and what won’t. So that you get the best short wedding dress for you. 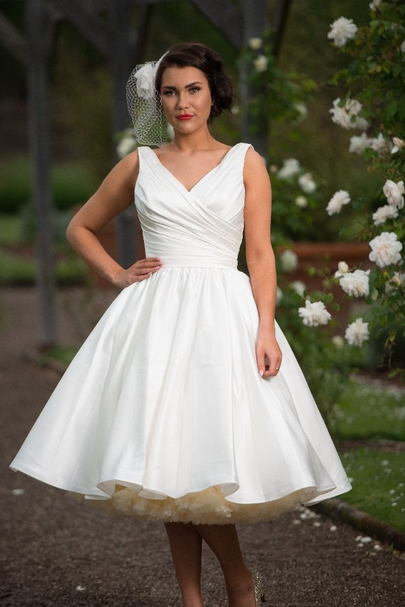 You can book your dedicated appointment today to try your perfect retro inspired wedding dress. We have 1950s retro short wedding dress styles by Brighton Belle By True Bride, elegant Vintage Inspired Short Bridal Gowns by LouLou Bridal. There are elegant and classic vintage inspired short wedding dresses by Timeless Chic. Stunning modern vintage inspired 1940s to 1960s short wedding dresses from House of Mooshki and the new alternative short wedding dress collection from Alan Hannah Rita Mae.